In many ways, massage is the most natural of natural remedies. Touching your body where it hurts seems to be a basics instinct, like running from danger or eating when you’re hungry. And experts say that massage, no matter how humble or low-tech it may seem, can be a powerful healer. Massage has come a long way over the centuries. SPORTS MASSAGE is designed to help you train better, whether you’re a world champion or a weekend warrior. 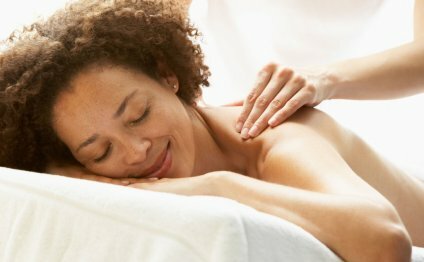 The techniques are similar to those in Swedish and deep tissue massage, but Greene says sports massage has been adapted to meet the athlete’s special needs. Pre-event massage can help warm up muscles and improve circulation before competition, but it can also energize or relax an athlete and help him focus on the competition. Post-event massage can push waste products out of the body and improve recovery. ROLFING seeks to re-educate your body about posture. When posture is poor, Bienenfeld says, it can be reflected in a number of health problems, such as backaches, headaches and joint pain. Rolfing seeks to realign and straighten your body by working the myofascia, the connective tissue that surrounds your muscles and helps hold your body together. The 10-session, head-to-toe Rolfing program used to be rather painful, but Bienenfeld says new techniques that employ a therapist’s hands and elbows are quite tolerable and just as effective at improving your posture. HELLERWORK is an offshoot of Rolfing that adds both mental and movement re-education to the physical work. In a series of 11 sessions, you get instruction on how to break bad posture habits and you also get a massage that focuses on returning your muscles and other tissue to their proper positions. The result can be dramatic. “Sometimes we can greatly increase the spaces in your joints to the point where you may grown three-fourths of an inch taller before you’re done, ” Bienenfeld says.